In order to help you get started a career in AngularJS, we have gathered a list of the AngularJS interview questions and answers. In this post, you will get the top AngularJS Interview Questions, which will be quite helpful and useful to those who are preparing for the AngularJS developer jobs. It will help you sense the level of the questions asked in interviews and thus improve your probability of selection. Let’s see what are the important AngularJS interview questions frequently asked in the interview. Here are the top AngularJs Interview Questions and Answers which will help you to prepare for the AngularJS developer job. 2. Do you know what is data binding in AngularJS? Data binding is a quite important feature of the software development technologies. Data binding in AngularJS is the automated synchronization of data between the view and model components. When the model changes, the view is automatically updated and conversely. There are two ways of data binding. One-way data binding – A value is obtained from the data model & included into an HTML element. Two-way data binding – It approaches the model as the single-source-of-truth in your application. 3. Do you what is the scope in AngularJS? 4. Explain how can you decrease digest cycle time? Utilize one-time Angular binding. Particularly if you see ng-repeat loop use one-time binding. 6. Mention the key features of AngularJS? 7. Explain the architecture of AngularJS? It also extends HTML attributes with Directives and connects data to HTML with Expressions. 8. Mention some advantages of using the AngularJS framework? AngularJS is an open source platform. It gives a great “desktop-like” experience to the end user. AngularJS allows us to build a single page application. It follows the MVC pattern. By classifying DOM manipulation from app logic, it makes code modular and easy to test. Angular’s code is unit testable. It supports two-way data binding. 9. What are the controllers in AngularJS? 10. What are directives in AngularJS? In AngularJS, a directive is something that precedes new syntax. They are alike special markers on DOM element which adds a specific behavior to the DOM element. It enables you to create new HTML syntax, precise to your application. They are important functions that perform when the Angular compiler detects them in the DOM. Some of the most commonly utilized directives are ng-app,ng-controller, ng-bind, ng-class, ng-show, and ng-repeat. 11. What are the different types of directives? 12. What is injector in AngularJS? An injector is a service locator which is utilized to retrieve object instances as defined by the provider, invoke methods, instantiate types, and load modules. The $injector service is responsible for finding the dependencies that a function declares and solving those dependencies. In every AngularJS application, there is a single injector is available. It also helps to look up an object instance by its name. 14. Describe e2e testing of AngularJS applications? The term e2e (end-to-end) testing includes testing an application from start to end. It helps to find whether all the components are working correctly. It also catches issues within an application associated with integration & flow. 15. Differentiate AngularJS and backbone.js? AngularJS blends the functionalities of most of the third party libraries. And it supports individual functionalities needed to build HTML5 Apps. While Backbone.js do their jobs independently. Backbone.js has a possibility to be enlarged to support models and views updating each other. 16. How will you get URL parameters in Controller? In order to get the URL parameters in a controller, we need to use the RouteProvider and the RouteParams. 17. Explain what is Single Page Application (SPA) in AngularJS? Single-Page Applications are web applications that suit a single HTML page. It is the concept whereby pages are loaded from the server not by doing postbacks, rather by building a master page. Single page applications are utilizing AJAX and HTML to build quick & responsive web apps. 18. Explain how to validate data in AngularJS? AngularJS contributes form filling and validation. Though we can utilize $dirty and $invalid flags to do the validations in a hassle-free manner. Leverage novalidate with a form declaration to disable any browser-specific validation. The following can be utilized to track the error. $invalid − determines that value entered is invalid. $dirty − determines that value has been changed. $error − determines the exact error. 19. What is transclusion in Angular JS? Transclusion is a quite powerful and valuable feature of AngularJS directives. It will enable you to move the original children of a directive to a particular location inside a new template. It also enables a directive to utilize a template while still having the capability to clone the original content and add it to the DOM. Moreover, there are many benefits of using transclusion even without a template. 20. What is the link function and how it varies from compile? The link function connects the directives with a scope to provide a live view. The link function is accountable for instance DOM manipulation and for registering DOM listeners. Though the compile function is responsible for template DOM manipulation and the set of all the directives. 21. Explain what is dependency injection? Dependency Injection is one of the greatest features of AngularJS. It is the process where the dependent objects are injected rather than being designed by the customer. It helps us to remove hard-coded dependencies and makes dependencies configurable. It also gives us the capacity to add the functionality of a component at runtime. Therefore, utilizing Dependency Injection, we can make the elements maintainable, reusable and testable. 22. Explain what are the different ways to invoke a directive? In order to invoke a directive in an angular application, there are four ways to do this as follows. 23. How can you initialize Angular application data? To initialize Angular application data, we can use “ng-init” directive. We have used “ng-init” directive to initialize the “pi” value. 24. Explain what are the security features available in AngularJS? AngularJS gives built-in protection from the following security defects. It prevents HTML injection attacks. It limits XSRF protection for server-side communication. NG-CSP directive is provided in angular to stop injecting inline codes to the application. A routing is a mechanism that creates an application as a Single Page Application. It is one the core feature of AngularJs Framework that is useful in developing a single page web application with many views. Hence, these are the essential AngularJS interview questions and answers which will help you to clear the interview. 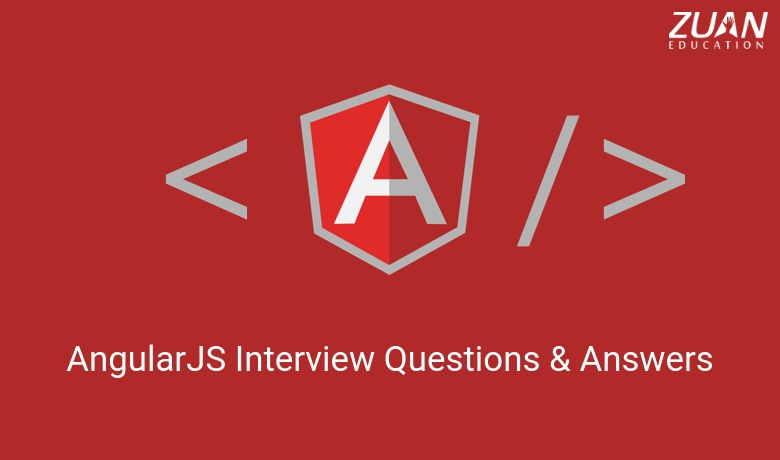 If you know any other interview questions on AngularJS, let us know in the comments. Awesome site! I am loving it!! Will be back later to read some more. Hello. I see that you update your site too often. I know that writing posts are boring and time-consuming, But you were regularly updating your blog. It’s so surprising for me!! It’s so interesting to read your blog.